This fun one button auto-scroller stars Sean Astin from Goonies, Rudy, Lord of the Rings, 50 First Dates, and the new TMNT cartoon on Nickelodeon. Sean has a twitter account dedicated to encouraging people to run with a purpose. Whether that's a loved one, a charitable organization, or something else you care about. 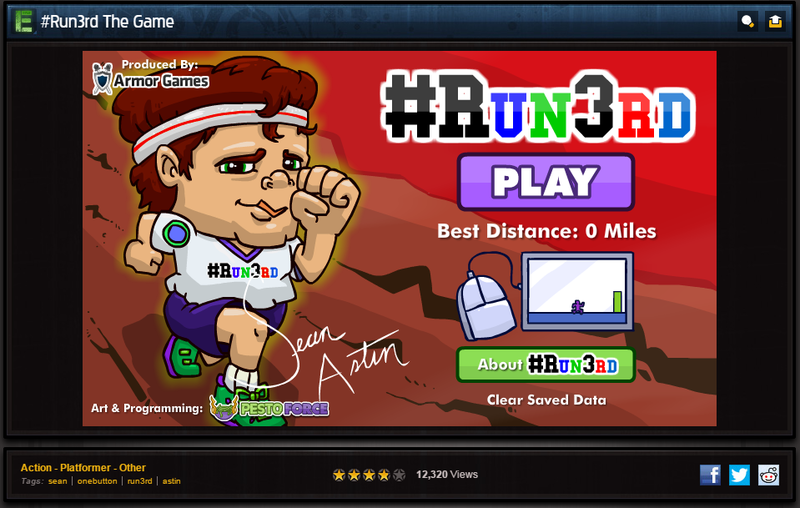 You can tag your virtual and real life runs with the hashtag #Run3rd to join in the fun! #Run3rd comes from Sean's mantra that he runs 1st for himself, 2nd for his family, and 3rd for a cause. 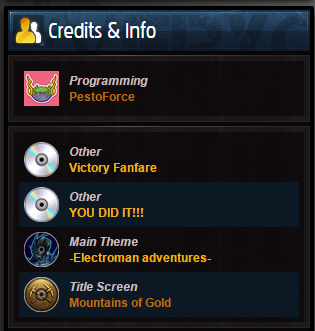 Our first collaboration with Nicholas Standing, Mountains of Gold, was already used earlier in the strategy game House of Wolves by Louissi. You can also license this composition for commercial projects via Jamendo and are allowed to use it for free non-commercially. Copyright © 2011-2019 Vladimir Kuznetsov. Powered by Blogger.